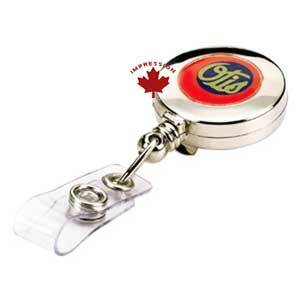 Silver Round Retractable Badge Holder with a belt Clip on the back and a retractable 20 inch nylon cord. 1 Colour imprint included $2.34 $2.18 $1.86 $1.62 each. This item can be purchased without an imprint for $0.05 less each.